As a startup looking to develop its business application, you are likely faced with a few understandable challenges that might seem to be major roadblocks in the path of your business realising its digital transformation objectives. With the limited resources, your business has access to, these challenges may include a budget too small to be able to launch an MVP, the compulsion of achieving high speed-to-market to keep pace with competition and finally, the challenge of not being able to afford a buggy system and hence, the pressure of building a system backed by top-notch code quality. 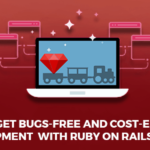 Surrounded by these constraints, you finally decide to undertake application development choosing Ruby on Rails as your preferred technology because it is startup friendly, sufficiently supported by an extensive community and flexible. 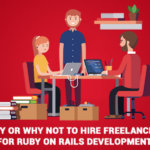 The next thing you have to do is to make an important business decision of either hiring a freelance developer (on one of those large freelancing platforms) or selecting a reliable Ruby on Rails outsourcing organisation to develop it for you. With thousands of web developers and companies as the choices available online, it can be a bit challenging to make the right choice. Eventually, you happen to realise that the service charges for hiring Ruby on Rails programmers over the online freelancing portals are unreasonably high, you cannot be completely assured about the service quality – at least, not enough to be able to pay the service charges up-front. Asking the questions such as how many years of experience the developers possess, asking to see the portfolio, live client projects along with the testimonials from the same clients helps you get an idea of the level of experience and expertise the development company has. If they have built an application catering to your industry and any of their apps have features relevant to realising your idea, it is certainly a positive credential. 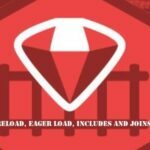 As a technology, Ruby on Rails has its learning curve, and if the developers are experienced enough to build your desired features and functions comfortably, they are more likely to build a quality application for you. On looking at the toolkit – i.e. the technologies worked on by the development agency, you can understand the kind of skill set the agency has and know about their ability to use the technical tools appropriate for solving a particular business problem. 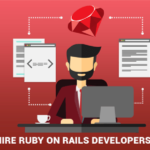 A development company using the right set of is likely to be skilled in building your Ruby on Rails application too with professional efficiency. An agency would have good project management practices in place of their management is asking you the right set of questions, pointing out the potential risks right at the outset and offering the best possible solutions based on your requirements and availability of resources. The agency with good management will always inform you about the industry best practices being followed along with the features and steps to be taken which you may not have thought about yet. They have a deep understanding of how lean development can help startup app development with its speedy prototyping, short project cycles, regular feedback and agile process. An agency employing agile development using SCRUM methodology must be typically preferred. To find out how effective their quality testing is, you must find out if they write the specifications to test every line of the code or not. If not 100%, they should at least provide you with 95% code coverage in this case. Using some tools, the test coverage can be easily checked. To make sure that your development agency is responsive and good with communication is also a critical factor since you should be able to instantly reach out to the developers through phone-calls, emails or chats in times of urgent need. A good way to check this is whether you receive the response to your email within one-business-day and whether they make sure to call you back within a couple of hours, if busy on calling them. If these things do not happen, you must watch out for such red-flags. The location of your development agency is also one critical factor to help you decide. While it is always a good idea to choose an agency which works almost the same time-zone as yours for enabling prompt communication, it is not always true that you will get the best option locally. There are development agencies based in countries like India where you can avail drastically lower service prices for the same or sometimes, even better quality. If such an option is available, it is worth further evaluating their project management and availability for communication to best-suit your timings. It may not be a great idea to go for the cheapest option available in the market as in the long run; it can very well prove to be a waste of your time, money and other resources. 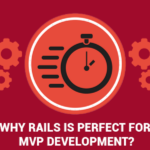 Well-versed with the industry best-practices and extensively experienced working with latest versions of RoR framework, RailsCarma’s professional team of RoR developers follows the agile methodology and loves to invest its time in developing dynamic and secure RoR web applications. Our offerings include Migration, Support & Maintenance of ROR Platforms, Custom Rails Application Development , Web 2.0 Applications & eCommerce Development, Migration from PHP to RoR, ROR porting, ROR Database, Ruby on Rails AjaxCustom Enterprise Apps, Application Specific APIs and Content Management Systems (CMS). Interested in any of these services and want to know more about us ? Feel free to contact us and have our expert call you.